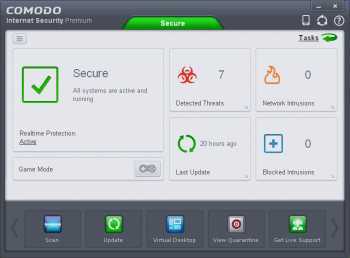 Comodo's free Firewall is your first layer of defense against viruses, worms, Trojans, hackers and all Internet threats. Comodo's Firewall uses Default Deny Protection to prevent threats from occurring, rather than just detecting them when it's already too late. Whenever an unknown piece of software is introduced to your system, Comodo Firewall cross-references it with a white-list of over 15 million trusted files and applications. If the file asking for access is on the list, Comodo Firewall can be sure it's safe for your computer to allow it to execute. If not, Comodo Firewall will alert you that a possibly malicious file is trying to enter your PC. The latest version sees a major leap forward in security and usability with the addition of cloud based scanning and behavior analysis of unrecognized files - making Comodo Firewall unbeatable at detecting zero-day attacks. Under default settings, unknown and untrusted files are automatically scanned by our cloud-based virus scanners then, while the file undergoes behavior analysis on our cloud server, it is run in a virtual environment (sandbox) on your local machine so that it cannot modify or affect data on your 'real' system. This ground-breaking method of protecting your PC means that only trusted applications are allowed to run. Malware and untrusted files get nowhere near anything important AND you get to use your computer without interruption from nagging alerts.  The software also boasts a powerful packet filtering firewall that helps you securely connect to the internet while blocking hackers from making incoming connections. It's easy to use and features an attractive interface that lets even beginners change settings to their liking. Comodo Firewall comes with automatic updates and is winner of the prestigious Editor's Choice award from PCMag.com. Download it now and find out why prevention-based protection is the security technology of the future. 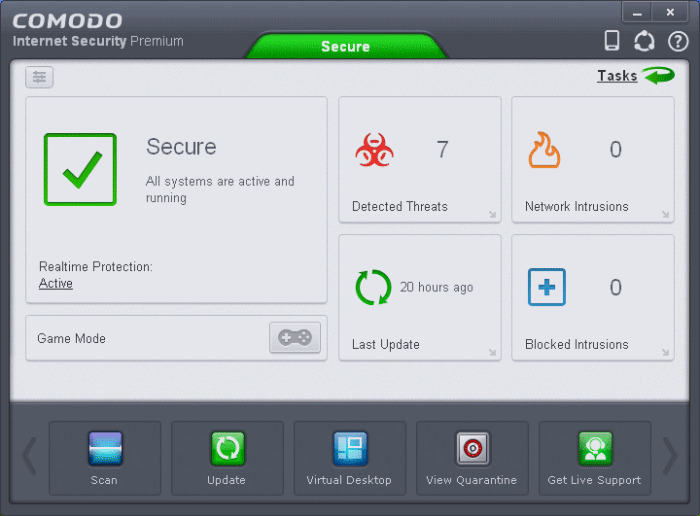 Comodo Firewall is completely free for life.